Marin's premier boutique frame shop. After 7 years we are closing our store. This is due to personal reasons and not a lack of wonderful clients and their business. Please get your last jobs in to us by April 1st. We thank everyone who has helped our small business succeed and we wish you the best. March 28- We are no longer taking in any new frame jobs. All existing orders will be fulfilled by April 30th. Click above to take a virtual tour of our store. We are located in Terra Linda, San Rafael at 4162 Redwood Highway. 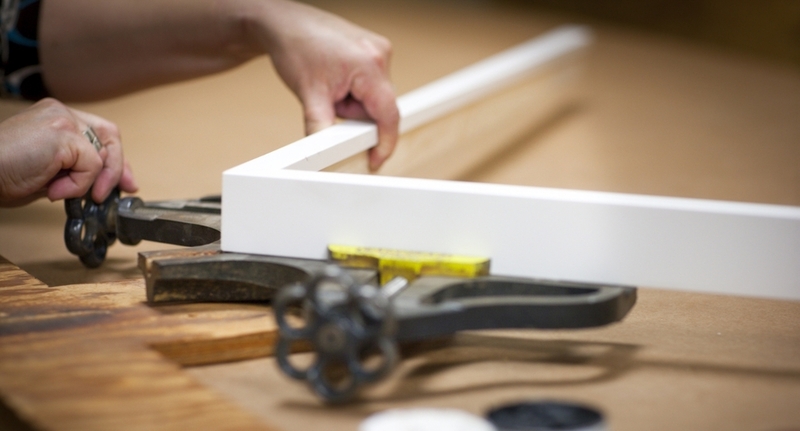 Custom framing is a hand craft, with every step requiring attention to detail and the final outcome. We use traditional, time tested, methods to ensure that your treasured artwork will last generations. We use only acid free materials, and follow a conservation methodology on all of our client's pieces.